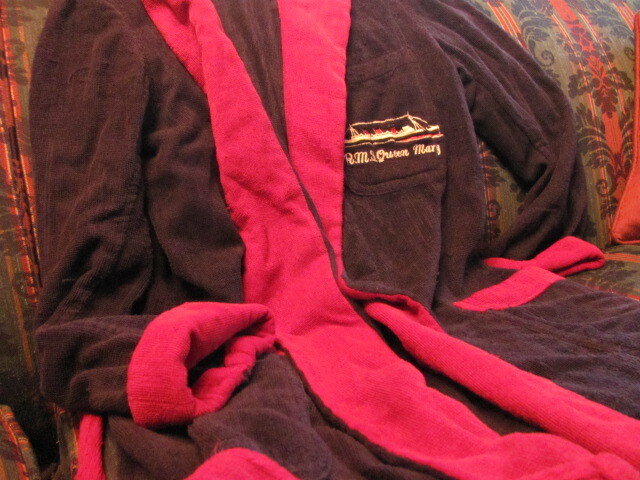 This recently acquired navy/burgundy robe came from a Queen Mary passenger in 1939 according to its owner’s grandson. I have never seen another but the fragile nature of the collar and shoulders indicate decades of age. 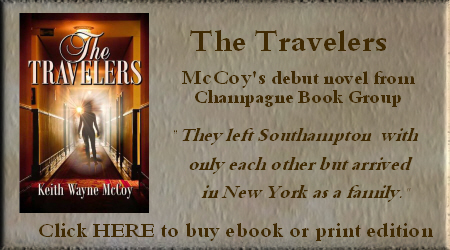 The man I bought it from related that his grandparents had enjoyed the pool on a Southampton to New York voyage but his grandfather had forgotten a robe. 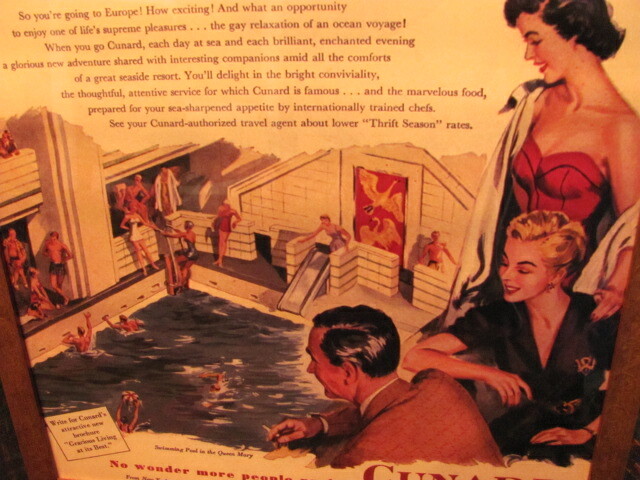 While towels were certainly plentiful, I simply do not have photos of passengers using this Cunard White Star garment. 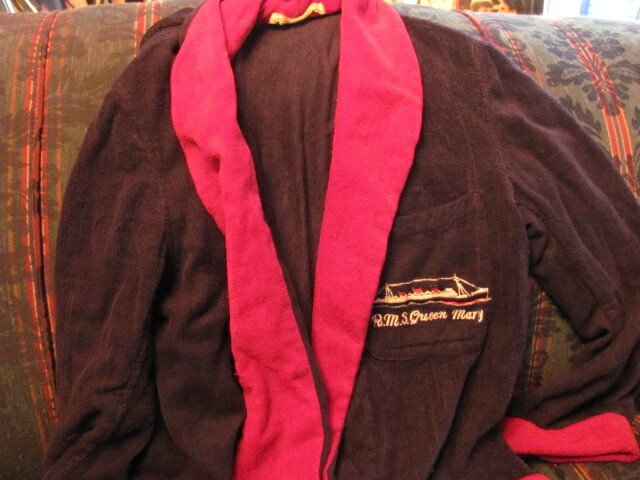 A pool attendant produced this robe and the grandfather was delighted with its embroidered detail and the attendant supposedly told him to pack it along with his other clothing as there were plenty more and one missing would not be noticed. With the obvious age and attention to detail in the embroidery, I tend to believe the story. 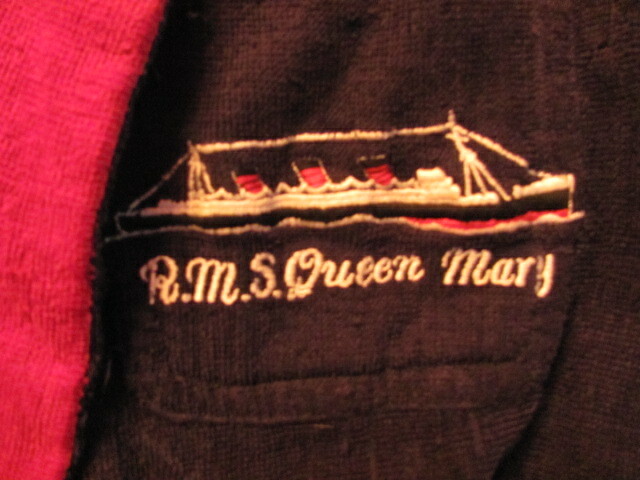 At any rate, it is a marvelous piece of memorabilia with expert detail which was a penchant of Cunard White Star.